Designed with inaccessible areas in mind, the four wheel driven Irus Quatrak operates through remote control, with a range of up to 300 m.
A specialist slope mower, the Irus Quatrak comfortably tackles tough mowing tasks on both flat and difficult to access areas. 5 Degrees with correct wheel configuration and ground conditions. 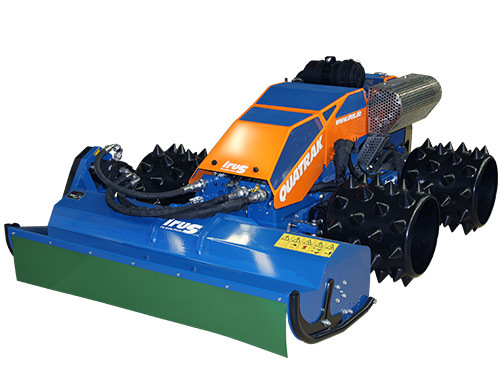 For mowing and maintenance of steep slopes, parks and roadside greenery.